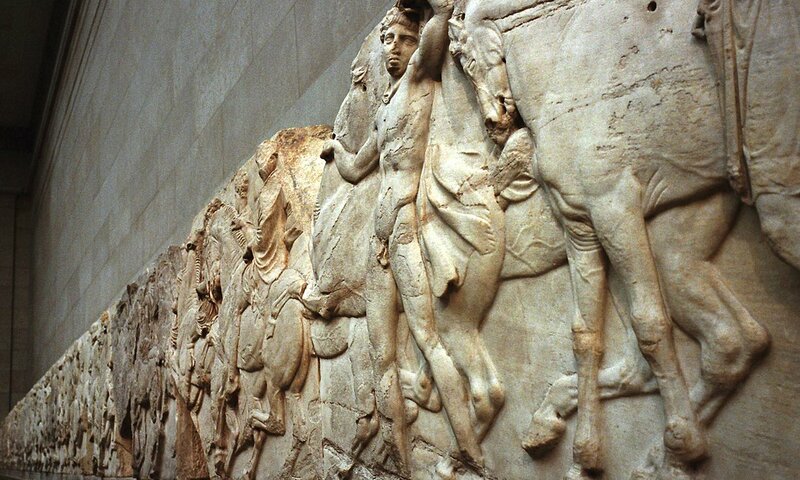 Geoffrey Robertson just wrote an opinion in the guardian, pushing for the return of the Parthenon artifacts. “Reuniting the marbles is a cultural imperative, not so much for Greece (its current citizens are of doubtful descent from Pericles) as for Europe. United, they will stand as a unique representation of the beginnings of civilised life in Europe, 2,500 years ago. It will be like putting together a photograph long torn in half, recording people walking and talking, playing and (particularly) drinking. 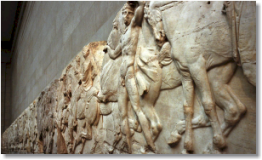 United in the custom-built modern museum beneath the Parthenon, the marbles will be the greatest artistic and architectural treasure on the continent.